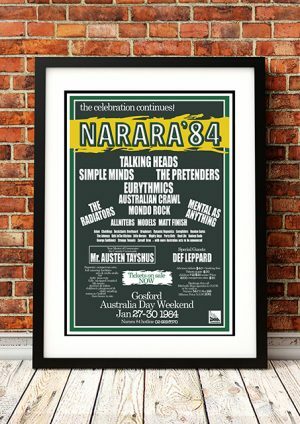 Classic Simple Minds Band Concert Posters and Memorabilia! Buy Online Now! Best known in the U.S. for their 1985 number one hit “Don’t You (Forget About Me)” from the film The Breakfast Club, Scotland’s Simple Minds evolved from a post-punk art rock band influenced by Roxy Music into a grand, epic-sounding pop band along the lines of U2. The band grew out of a Glasgow punk group called Johnny and the Self-Abusers, which featured guitarist Charlie Burchill and lead singer Jim Kerr. 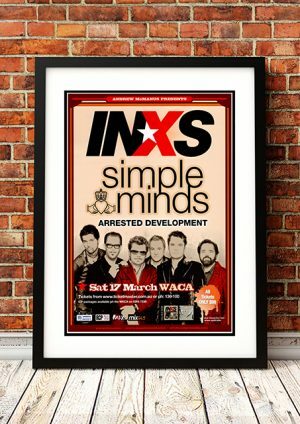 The inaugural 1978 lineup of Simple Minds featured a rhythm section of Tony Donald on bass and Brian McGee on drums, plus keyboardist Mick McNeil; Donald was soon replaced by Derek Forbes. 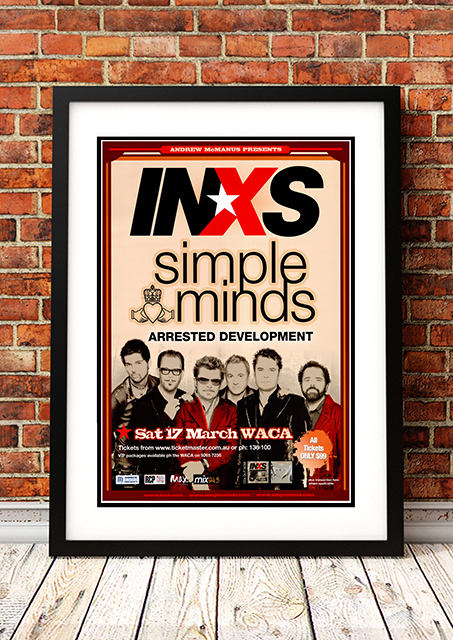 We stock some awesome Simple Minds Band Concert Posters.